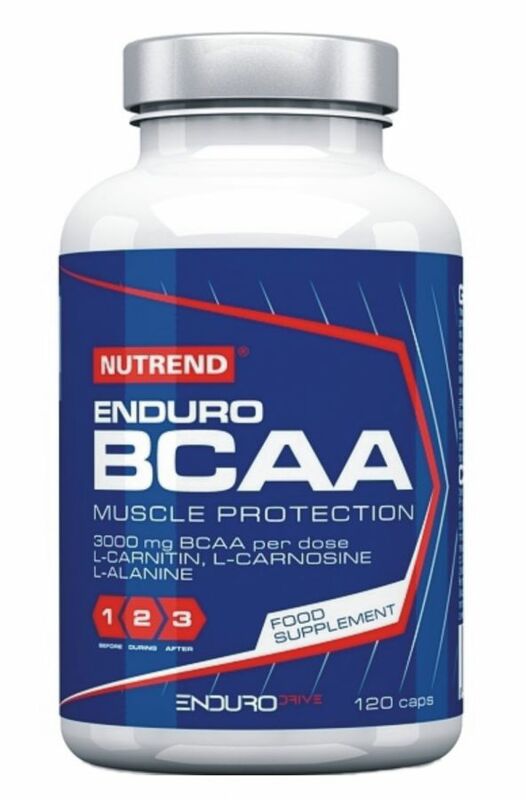 Nutrend ENDURO BCAA is a pure crystalline form of BCAA (L-leucine, L-isoleucine, L-valine) in an optimal 2: 1: 1 ratio. 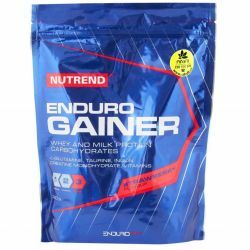 ENDURO BCAA from Nutrend is designed to promote muscle regeneration. 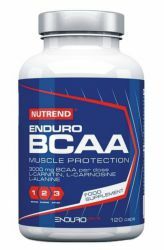 Enduro BCAA supports endurance performance and reduces muscle acidification. Take BCAA ideally before exercise and afterwards for maximum effect. 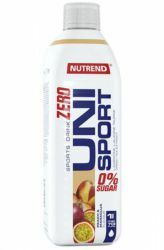 You can buy a wide range of Nutrend sports nutrition at AlfaFit. 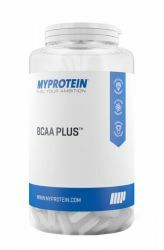 BCAA represent up to 35% amino acids, which form muscle tissue. 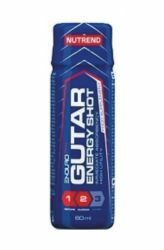 During strenuous physical work is always an increased usage of BCAA. In addition, excessive catabolism of muscle mass causes the subsequent loss of muscle mass and thus due to a decrease in physical performance. Thus, in the body happens exactly the opposite story than you expect intensive training. 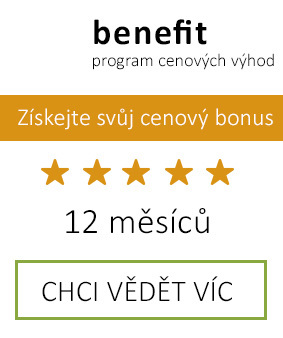 Why the ratio 2: 1: 1? 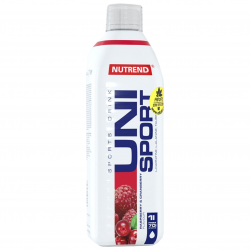 Because the amino acid L-leucine is used as the organism in twice the amount of L-isoleucine and L-valine. 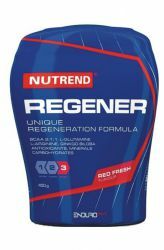 * Promote the regeneration of muscles that are excessively burdened during exercise. before exercise 6 capsules (3 g BCAA). In less demanding activities can take half a dose - 3 capsules before workout and 3 capsules after exercise. Do not exceed the recommended dosage! According to the recommended dosage gradually swallow the capsules with plenty of water. Not suitable Milk and alcoholic beverages. Do not chew the capsule! Store at 25 ° C and use within 3 months. It does not replace a varied diet. Not intended for children, pregnant and lactating women. Keep out of reach of children. The manufacturer is not liable for damages caused by improper usage or storage. Store in a dry place below 25 ° C, away from direct sunlight, protect from frost. 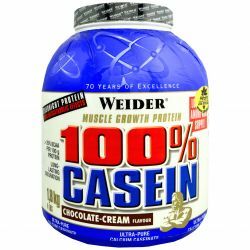 Weider 100% Casein is 100% Casein which contains over 84% pure casein and a very low content of sugar and fat. 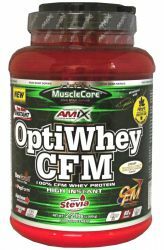 Casein is digested slowly and its use leads to a continuous transfer of amino acids. 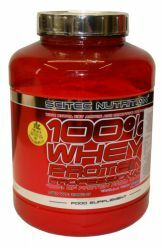 Scitec 100% Whey professional protein is a whey product containing 77% protein, low fat and lactose. The peak protein is the result of the latest research in the field of protein concentrates.